I’m what you would call an accidental screenwriter. I always wanted to write novels and short stories and I never gave much of a thought to film. But when my yet-to-be-released novel The Gods of Fire—based on my experiences as a forest firefighter—was optioned for film, the producer asked me to write the screenplay. Having my unpublished novel optioned for film by a great producer felt like a miracle. I was excited, thrilled and very intimidated. I mean, I started reading novels only after having read hundreds and hundreds of them. And there I was being asked to write a script when I’d barely ever even read one. I immediately started studying scripts of films I love and reading all about the film industry. I soon learned a shocking fact—only 10% of major motion pictures are written by women! That daunting statistic made me firmer in my resolve to write a great screenplay adaptation of my first novel. I learned right away that screenwriting is very different from writing novels in a key way—it’s collaborative. When I write a novel, I’m alone with it for years before I show it to anyone. But as soon as I finished a draft of my screenplay, I sent it to my producers and they sent it back to me with notes on what to revise. I did the revisions, sent it back and then received….more notes! That went on for a couple of years. Now the script is finally done and director Peyton Wilson has been attached to the project. Wilson directed an amazing documentary called Speed and Angels about a female fighter pilot, so she understands the dynamics of a story about a woman in a man’s world. My script is going to be sent out to female lead actors next week. So women I’ve seen on the big screen will be reading my script! 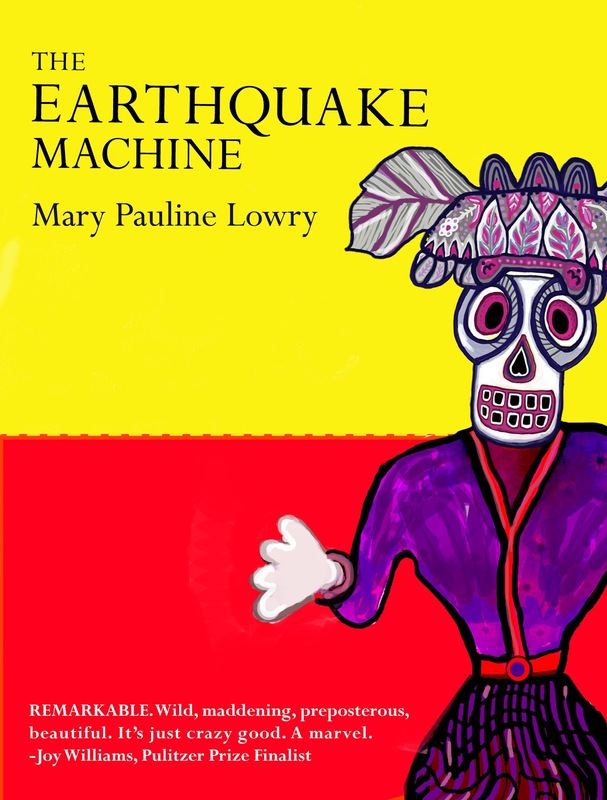 In the meantime, I’ve published my novel The Earthquake Machine, a wild little fairytale with teeth about a girl who runs away from home, transforms her appearance so she can “pass” as a boy, and travels deep into interior Mexico to find her family’s yardman Jésus. It’s a wild story and not for the faint of heart. But it’s perfect for any woman or girl tired of the limitations imposed by gender, sick of love triangles, or merely eager to read something fresh and exhilarating and fun. and every girl’s parents hope she’ll never read. Mary Pauline Lowry has worked as a forest firefighter, screenwriter, open water lifeguard, construction worker, and advocate in the movement to end violence against women. Due to no fault of her sweet parents, at 15 she ran away from home and made it all the way to Matamoros, Mexico. She believes girls should make art, have adventures, and read books that show them the way. 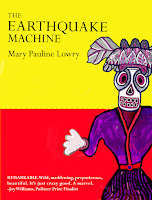 Mary is offering a print copy of The Earthquake Machine to ONE lucky reader. The giveaway is open to international entries and anyone over 13 years of age can join in. Just fill in the Rafflecopter below. Cool guest post! I think it's really interesting that so few of the major motion pictures were written by women screenwriters. Somehow, I'd think the percentage would be bigger --- so very glad that Mary wrote hers! Definitely looking forward to seeing that film when it's finished!